The Azores is a nine islands archipelago in the Atlantic Ocean, discovered by the Portuguese explorers in the 15th century. The vine culture dates back to the same century and later, in the 17th and 18th centuries, the wines produced in Azores, Pico Island in particular, were exported to Russia and most countries in northern Europe. The Azores are known for its excellent tourism quality, regarding especially sustainable tourism. This archipelago won the Quality Cost Gold Award 2012 and 2013, an international honour aimed to highlight the coastal environmental quality for a sustainable tourism. Wine tourism is just starting in this region and it will have undoubtedly an important word to say in the near future. Regarding the constitution of the soil and the climate in these islands, the soil is essentially volcanic and has a deep maritime climate in spite of the mild temperatures throughout the year. There is a high level of rain and atmospheric humidity and the sea wind is constant. The vineyards are planted in particular locations called "Currais" where they are surrounded by volcanic rocks walls that release heat to the vines overnight and have a quite effective protection effect against bad weather. Because of those special conditions, the vineyards have unique characteristics. In the Azores, only three islands have significant meaning concerning vine cultivation. The "Designations of Origin” were created in 1994 and are named: Graciosa, Biscoitos and Pico. In the Graciosa Island is produced white wine from de grape variety Verdelho (the most famous and most cultivated grape, original from Sicily or Cyprus and taken to the Azores by the Franciscan Friars), Arinto, Terrantez, Boal and Fernão Pires. 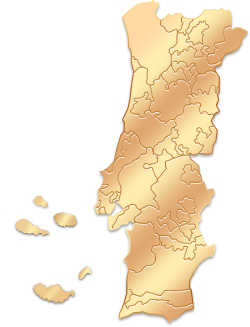 In Terceira Island, in the region of Biscoitos, the varieties Verdelho, Arinto and Terrantez are used for the production of fortified wine. The grape varieties Verdelho, Arinto and Terrantez are used in Pico Island. The nine islands of Azores are known by its astonishing volcanic landscapes, the abundant flora and quietness of life. These islands, once wild and distant, are now frequented by tourists who enjoy walking, sailing and isolation. The Azores islands are spread along 650 Km (404 mi) and are divided into 3 groups. The eastern group includes the islands of Santa Maria and São Miguel, the biggest one and headquarters of the regional capital. The main cities of the central group, composed of five islands, are Horta, in Faial, and Angra do Heroismo, in the island Terceira. We recommend a visit to the islands of São Jorge, Graciosa and Pico. In the western group you will find the remote islands of Flores and Corvo.